Turkey’s air strikes against Islamic State (IS) militants and Kurdish PKK separatists could “change the regional game”, the prime minister has said. Ahmet Davutoglu said there were no plans to send ground troops into Syria and that air strikes were meant to support moderate rebels fighting IS. On Sunday, Turkish jets again attacked PKK camps in northern Iraq. NATO is to hold an emergency meeting on Tuesday to discuss the situation, at Turkey’s request. Mr Davutoglu told a meeting of Turkish newspaper editors that, following Turkey’s military action, there were now “new conditions” in the regional conflict. “The presence of a Turkey that can use its force effectively can lead to consequences which can change the game in Syria, Iraq and the entire region; everyone should see that,” the Hurriyet Daily News quoted him as saying. He said other states now needed to “assess… and review their own position accordingly”. 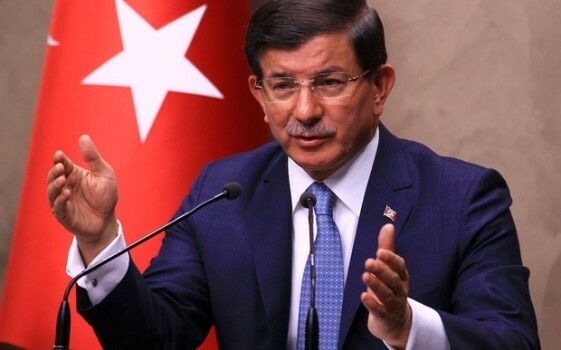 Mr Davutoglu said Turkey was prepared to work with the Syrian Kurdish PYD group – which has links to the PKK – provided it did not pose a threat to Turkey and severed relations with Syrian President Bashar al-Assad. Turkey launched air strikes against IS targets in Syria and against PKK camps in northern Iraq following recent attacks. In a suicide attack blamed on IS, 32 people died in in the Kurdish-majority city of Suruc near the Syrian border on 20 July.